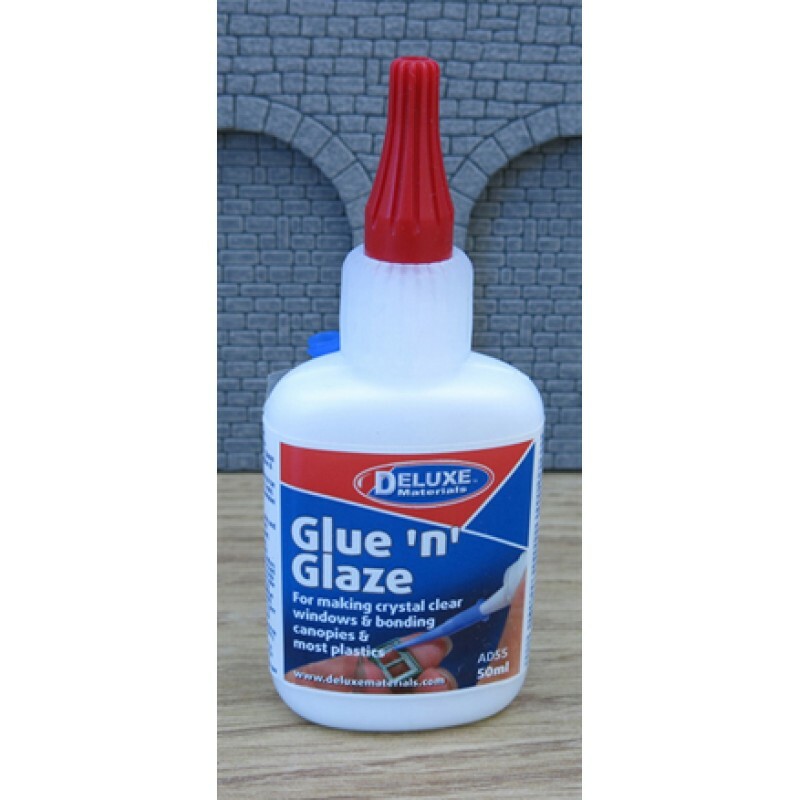 Glue 'N' Glaze is a liquid plastic film-forming polymer which bonds most plastics and dries to crystal clear film. 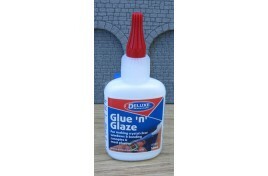 It is ideal for miniature windows (00 gauge or up to 6mm across). It will not craze plastics making it ideal for the safe bonding of scale plastic canopies. bonds wood, plastic, metal, painted surfaces.